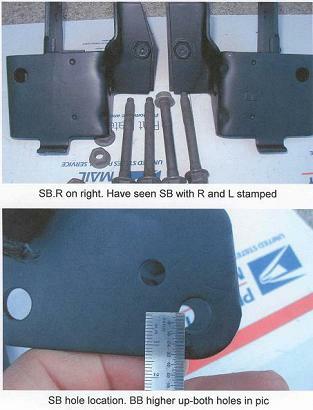 There is a lot of confusion out there because the "big block" support bracket was also used in several small block applications and many parts books don't describe the applications accurately. 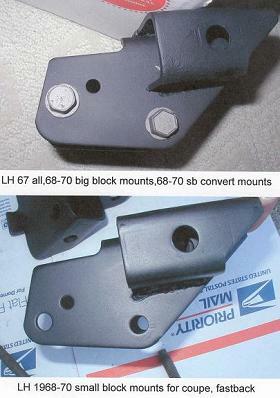 Note that the big block bracket was revised over time. The C7ZZ-B parts were used for the original 1967 application. 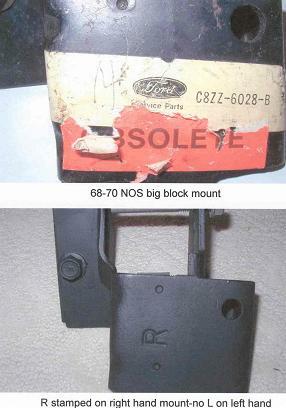 They were replaced with the C8ZZ-B parts during the 1968 model year. 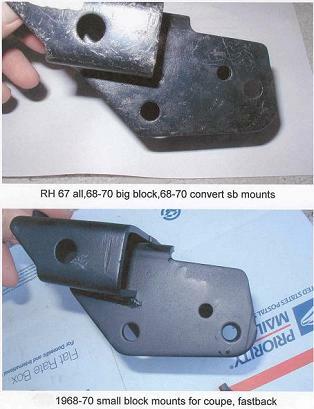 The 1975 MPC lists the D0ZZ-D brackets for 1970 CJ Mustangs and as replacement left side bracket for the 68-69 models, but it lists the C8ZZ-B right side bracket for 68-69. I'm not sure why that is and I don't have access to confirmed original brackets to compare them for differences. I've had at least one person look at all three of the brackets identified by these different part numbers and they report no difference at all. Thanks to Tom Cherry and Gary Boehnlein for the pictures used here.